At Heartland Builders, Inc. we believe that the process of building your dream home should be as enjoyable as actually living in it. After all, this is one of the biggest decisions you will ever make-so make the most of it! Whether you're just starting out or finally stepping up, there are few things in life as important as the investments you make in yourself and your family. Whether you prefer the simplicity of one of our expertly designed home plans or you're looking for something more tailored to your individuality, Heartland Builders has the experience and the resources to make your dream a reality. We encourage our clients to be actively involved in their home-building process. From designing your new kitchen and selecting appliances to choosing your flooring and light fixtures, you will have the opportunity to meet with our Contractors directly. But that’s just the beginning. At Heartland Builders you will have countless opportunities to work with our professional staff to personalize your dream home. In order to enhance your building experience, you will have direct access to our Project Manager, and will be able to visit your home at any stage during construction. Our Project Manager is dedicated to managing and overseeing all aspects of your home’s construction from design to settlement. 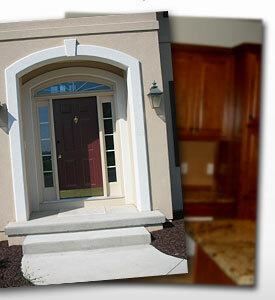 We treat each Heartland Builders home as though we would be living in it ourselves. It’s what sets us apart from other builders, and what allows us to go beyond the expected and to make your dreams a reality. Contact us today, and tell us about your dream!